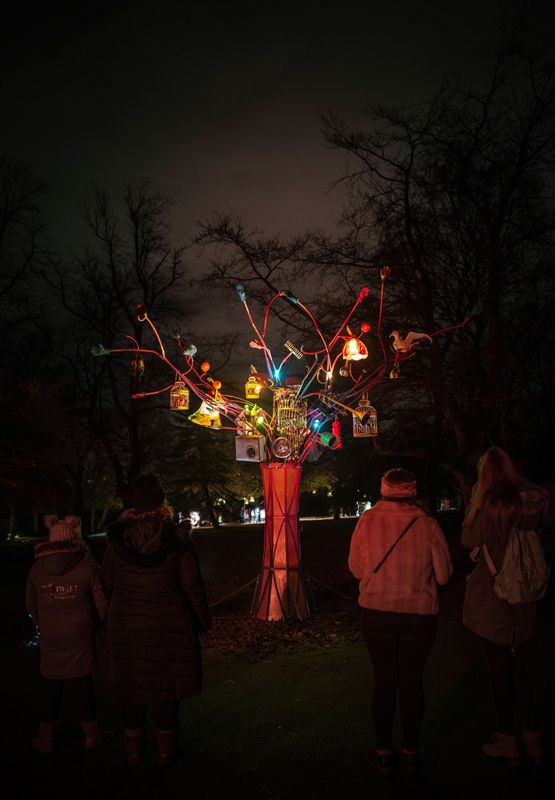 The Lost and Found Tree was commissioned by Newcastle and Gateshead Initiative (NGI) for Enchanted Parks 2018 at Saltwell Park, Gateshead …financially supported by Arts Council England. 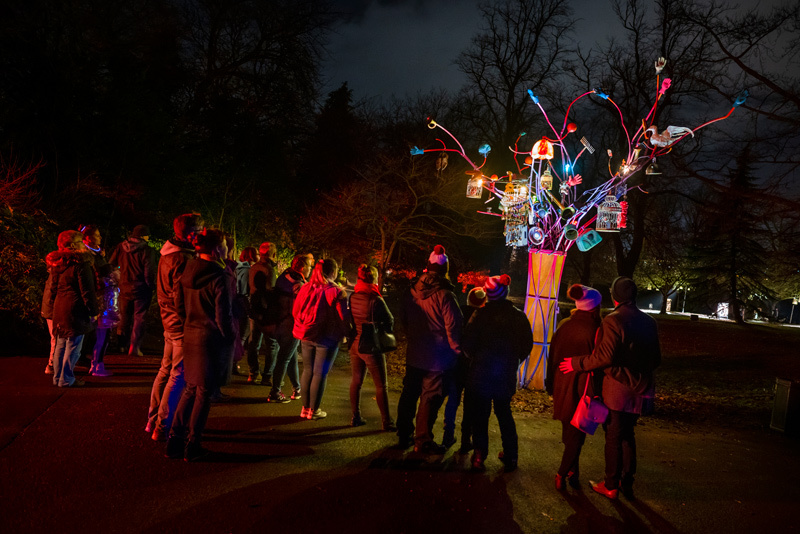 It was designed as an Entrance Feature to set the scene for The House of Lost and Found, the theme for the 2018 Enchanted Parks. 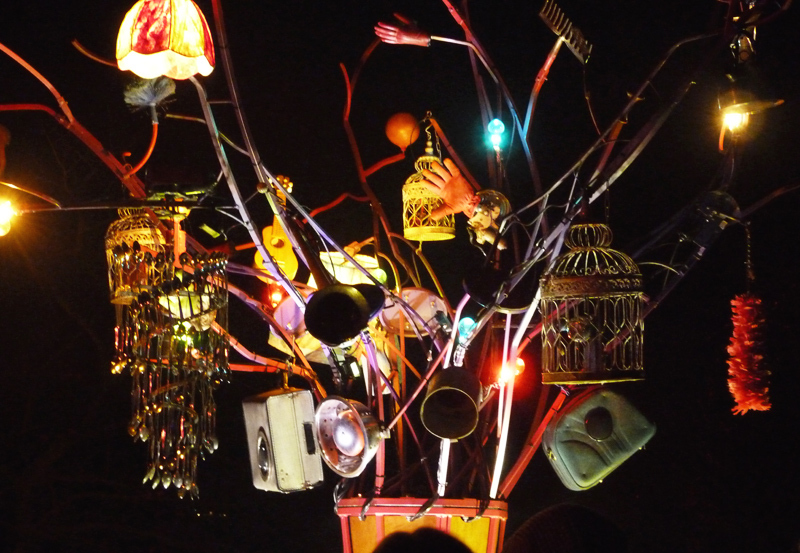 The sculpture incorporated speakers inside suitcases and teapots, a motorised spoon chandelier, waving hand and feather duster, bells rung by solenoids, smoke and lighting. 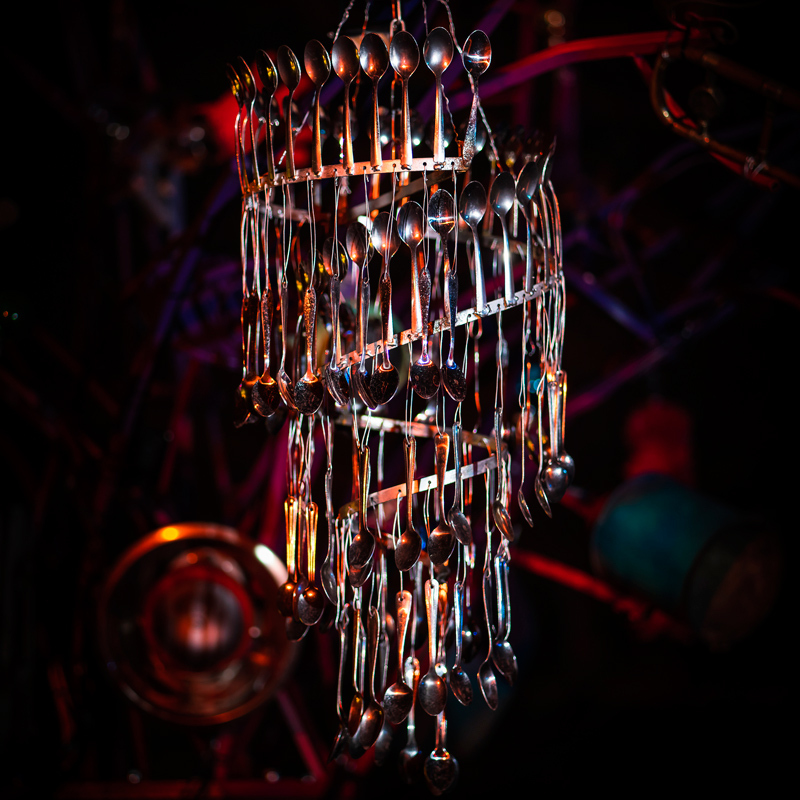 It ran on a 3 minute sequenced loop, accompanying a spoken narrative that introduced the concepts and characters of The House of Lost and Found. 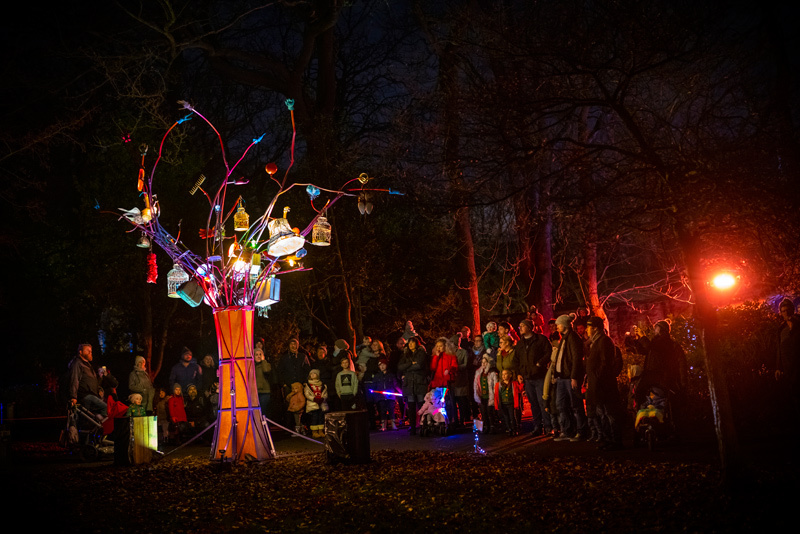 The Lost and Found Tree runs on a custom built control system using Arduino, Raspberry pi and Node Red technologies. 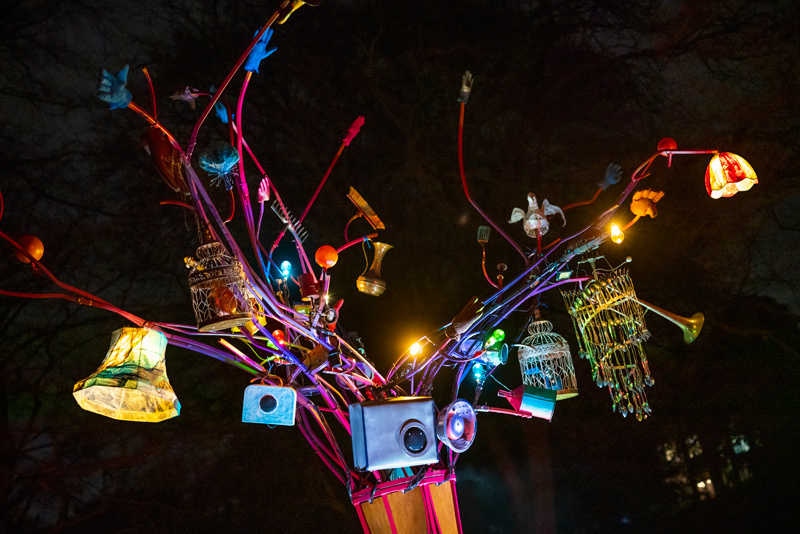 Contact us for more information about hiring the Lost and Found Tree.